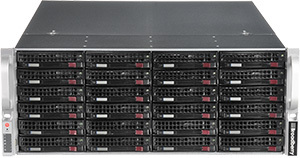 Superb Business Class Servers, the CyberServe Xeon E range is based on Intel Xeon processors. An ideal fit for companies looking for an affordable and efficient system, the CyberServe Xeon E range is designed to be configurable with up to 64GB DDR4 RAM, with a single processor. 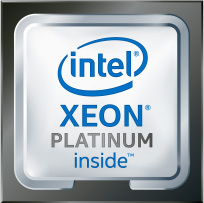 Based on the Intel Xeon E Processor Range. Boasting up to 6 cores and 12 threads. 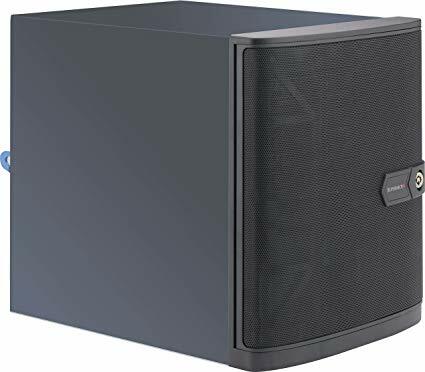 Significantly enhanced efficiency and performance. Features up to 40 lanes of PCIe for storage, graphics and network expandability. The Broadberry range of Intel Xeon E powered CyberServe servers provide essential performance for entry level servers and are ideal for smaller businesses looking for the perfect business server. 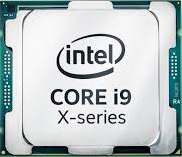 The Intel Xeon E processors are available with integrated Intel UHD Graphics technology. The Xeon E processors powering these solutions provide key performance and visuals to aid the requirements of businesses worldwide. They deliver cloud computing, big data insights, real-time analytics and processing for mission-critical data. To handle todays workloads, a server solution capable of impressive performance is necessary. Broadberry's Intel Xeon E based servers can be configured to be optimized perfectly to your individual business needs. Broadberry servers powered by Intel Xeon processors meet the greatly diversified demands of professionals in areas such as media and entertainment, engineering, architecture and financial services. 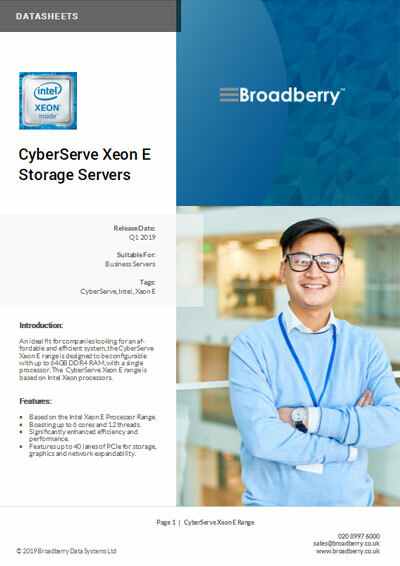 Broadberry CyberServe solutions powered by the Intel Xeon E family deliver support for error-correcting code (ECC) memory, which improves data integrity and system reliability through auto data correction. With Intel Data Protection Technology (with Secure Key), performance and security are improved for a wide range of security applications, allowing for quicker and higher quality cryptographic keys and certificates. Intel Turbo Boost Technology provides huge performance just when you need it the most. It substantially accelerates processor and graphics performance for peak loads. Intel Hyper-Threading Technology allows for faster performance for many demanding business applications. With Intel Virtualization Technology, you can enjoy higher performance for core virtualization processes. There are also significant improvements to dynamic load balancing, disaster recovery, application performance, migration and provisioning. Business computing needs are continuing to evolve in complexity and sophistication. Servers that were fully capable in the near past are now not able to keep up with today's modern workloads. Broadberry CyberServe solutions powered by Intel Xeon E processors feature cost-effective and enhanced performance. The Xeon E processors deliver 50% more cores/threads than their Xeon E3 predecessors. They also feature a newer and faster microarchitecture. 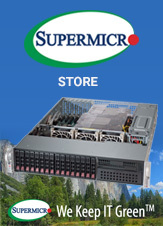 This robust server solution delivers leading price/performance. Security is substantially improved with Intel Data Protection Technology (with Advanced Encryption Standard New Instructions). This happen through the encrypting of data, which is managed without the slowing of any response times. Broadberry storage servers also utilize advanced security technologies for secure cloud services. 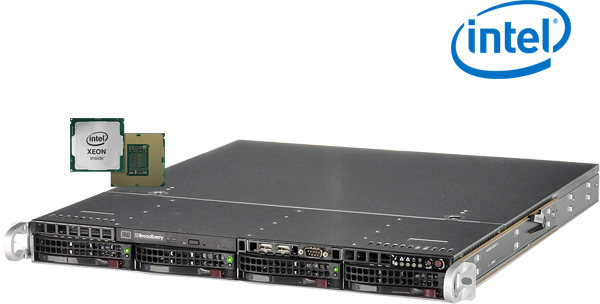 Broadberry CyberServe Servers powered by the Intel Xeon E family of processors also feature a Trusted Platform Module (TPM). TPM is a microcontroller which stores passwords, keys and digital certificates. 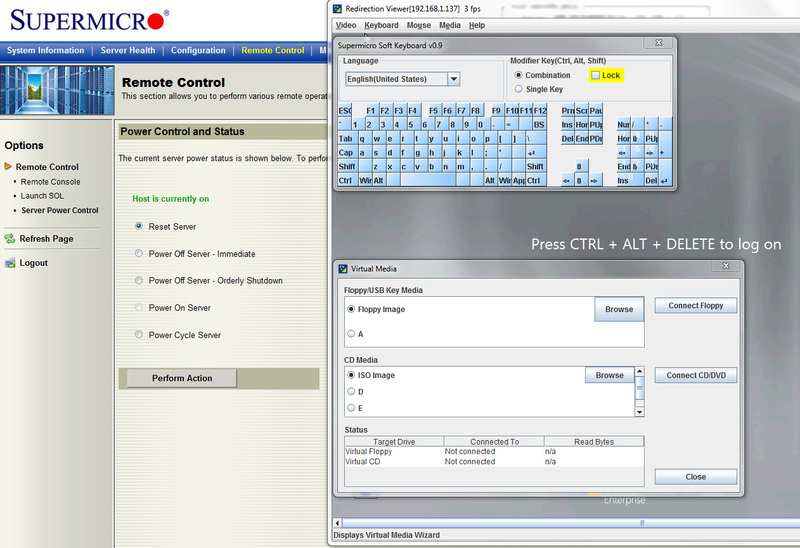 It also supports Intel vProÃÂ¢ÃÂÃÂ¢ Technology and Intel Trusted Execution Technology (Intel TXT). Broadberry CyberServe Servers based on Intel Xeon E processors represent an astute investment that will enable your business to grow and evolve while also delivering a reliable and constantly available solution to safeguard your data and host critical business software. You may be a small business, but the value of your data is huge. With Broadberry server solutions you can be sure that your data will remain accessible and fully protected. Our range of CyberServe Servers are great for small businesses which require a system that is extremely effective at performing a single job as an on-premise, dedicated server. 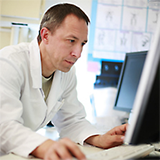 Unlike other leading server manufacturers, all Broadberry come with feature-rich IPMI included.